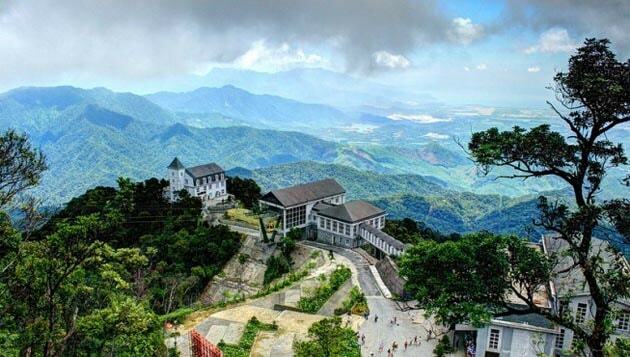 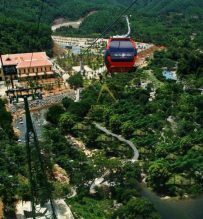 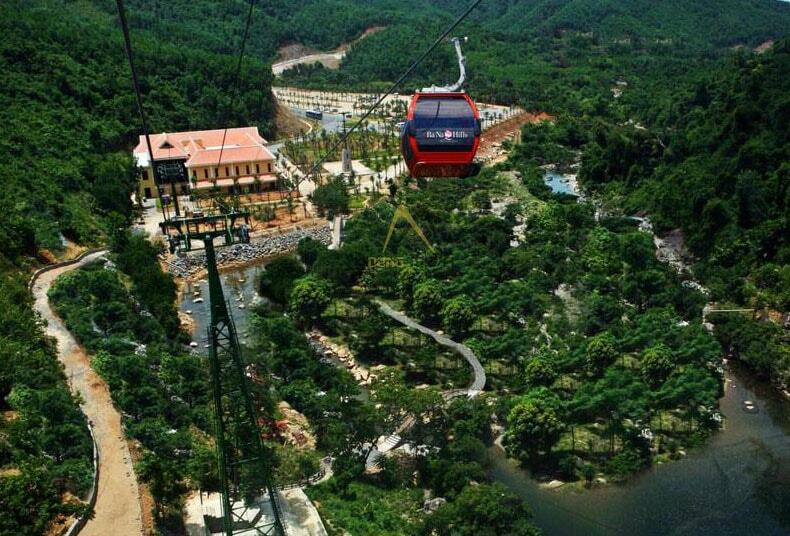 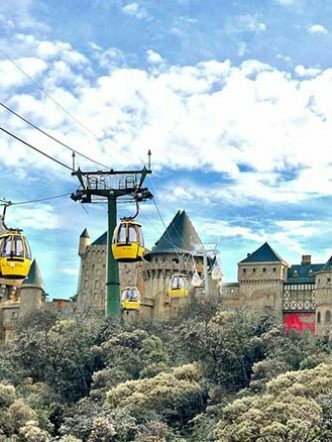 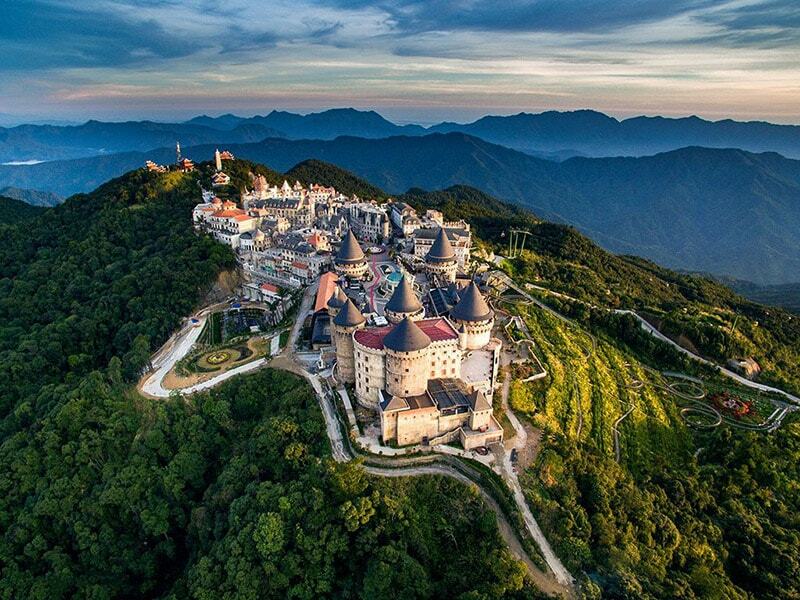 Escape from Da Nang city and spend the day on the beautiful Ba Na Hills. 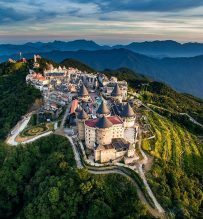 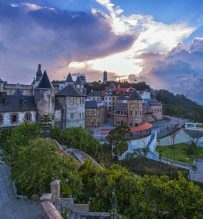 Marvel at the exquisite architecture of the Linh Ung Pagoda, feeling refreshingly cool weather and gorgeous countryside views, and enjoy exciting games at Fantasy theme park on top of Ba Na hill. 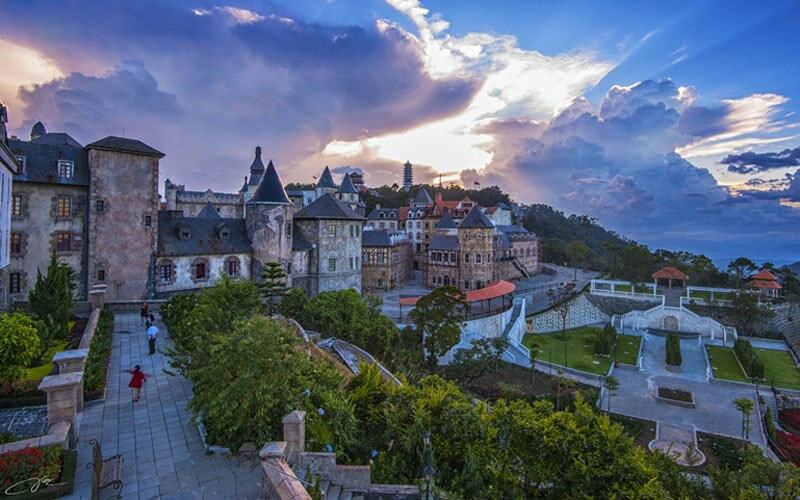 Visit an old French cellar, flower garden Le Jardin D’amour..
8.00 Pick up at hotel in Da Nang head out to Ba Na hills and take Cable Car which gains 5 world scores to Ba Na hills station. 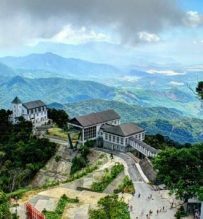 Stop at By Night station to visit Vong Nguyet hills, Linh Ung pagoda, The Old Villas of French. 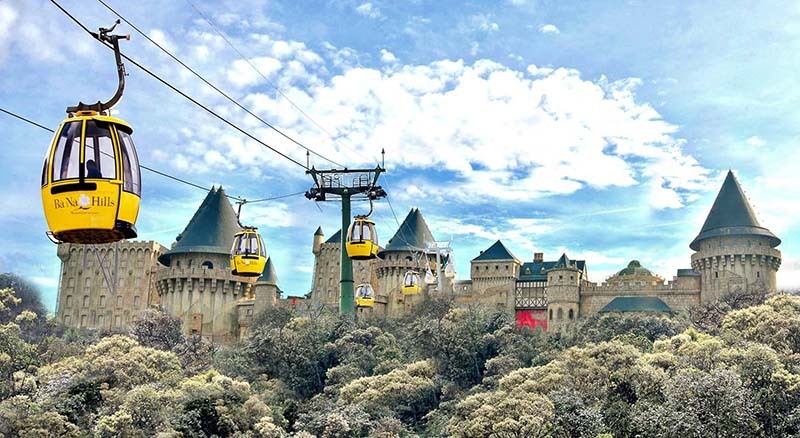 Continue moving up by cable car to the Nui Chua Mountain – the top of Ba Na range, visiting Nginh Phong top, Le Nim Villas, Orchid Garden… Experience hill climbing train (first and unique funicular in Vietnam) and visit an old French cellar (Debay Ancient Wine Cellar), flower garden Le Jardin D’amour and Linh Ung Pagoda. 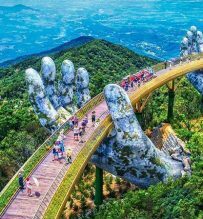 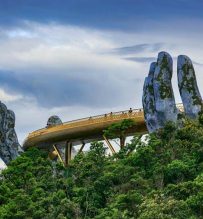 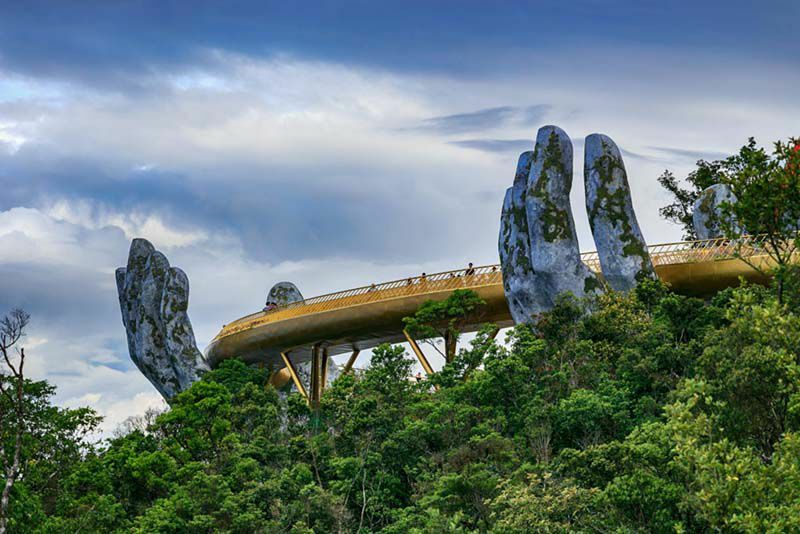 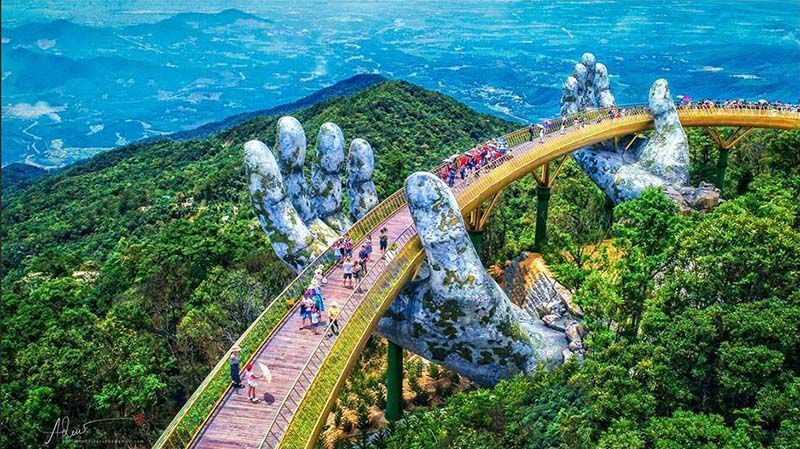 You should not miss walking on the Golden Bridge amid the foggy hills of the mountain, enjoy the gorgeous view of Da Nang City.